EPCglobal is the global standard for the Radio Frequency Identication (RFID) Technology in today’s fast moving, information rich trading networks. GS1 Australia holds the exclusive rights to assign unique Electronic Product Code (EPC) standards and specications. ciency of their supply chain operations. Include manufacturers, retailers, wholesalers, carriers and government. In general terms, End Users are the organisations that have objects in motion in the supply chain. Solution Partners are the organisations that help the End Users move goods throughout their supply chain. They include hardware products and software suppliers, solution consultants, systems and strategy integrators, training providors. 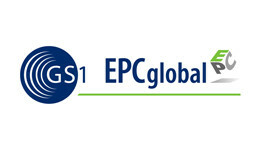 GS1 Australia provides essential business and technical training through the EPCglobal Accreditation and Certication Program for EPCglobal Australian Solution Partners. Consistent with the GS1 Australia Alliance Partner Program, the goal of this program is to establish EPC compliant Information Communications and Technology suppliers to support the growing EPCglobal end user community in their implementation of RFID technology.